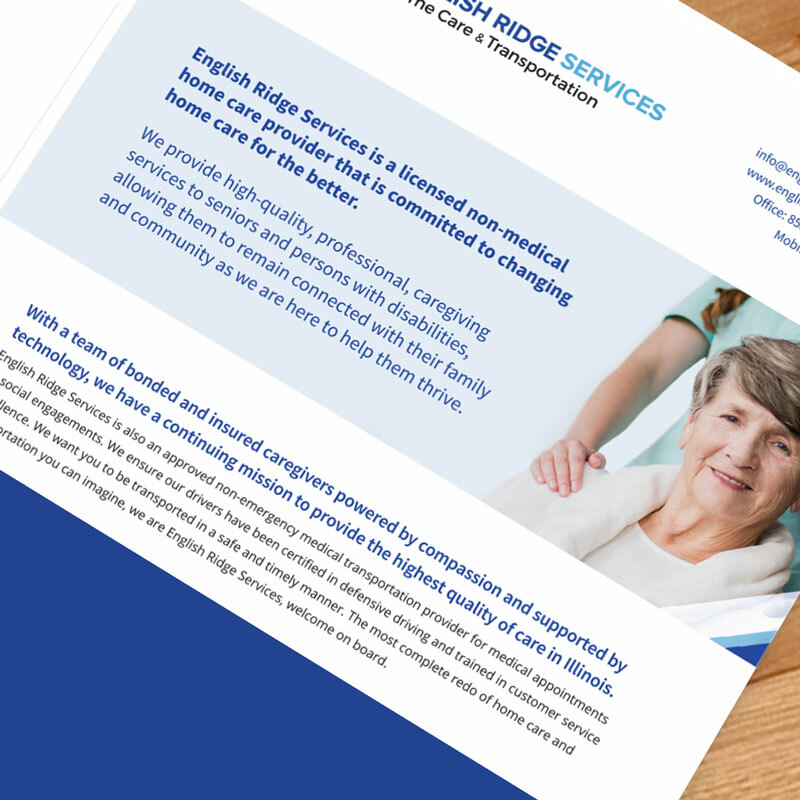 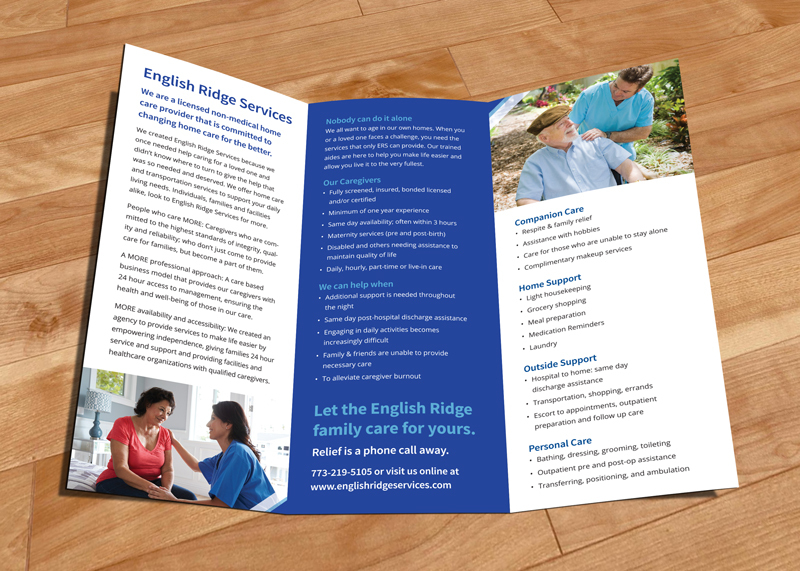 English Ridge Services is a licensed non-medical home care provider that is committed to changing home care for the better. 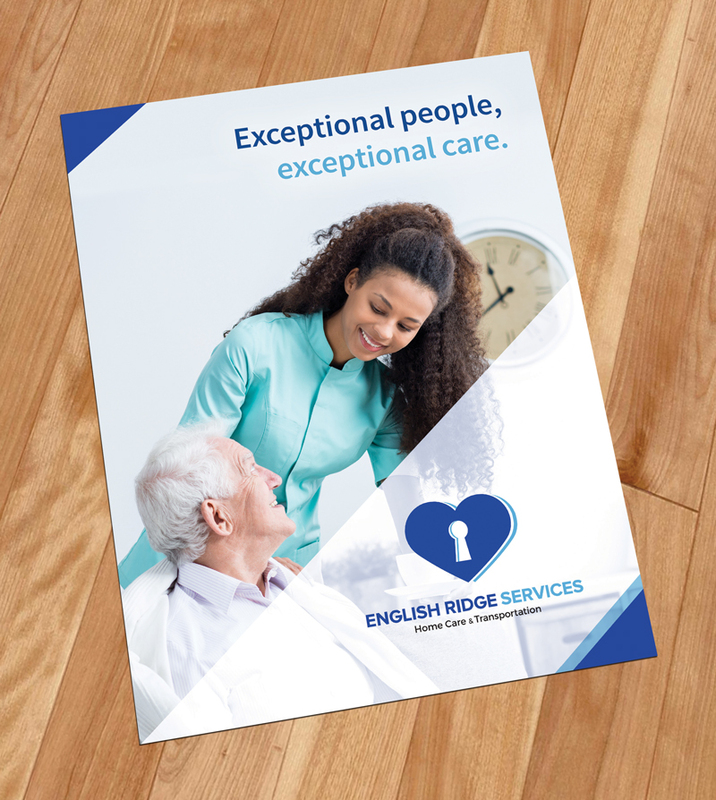 They provide high-quality and professional caregiving services to seniors and persons with disabilities ages 60 and up. 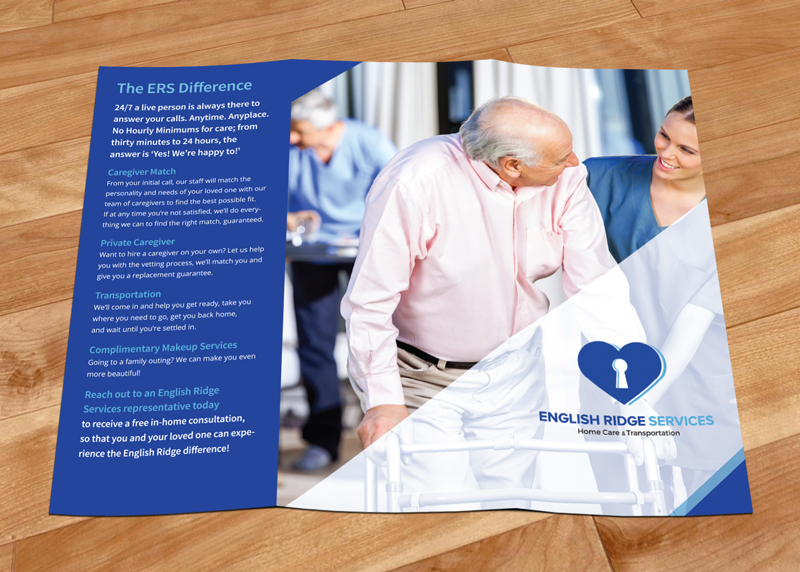 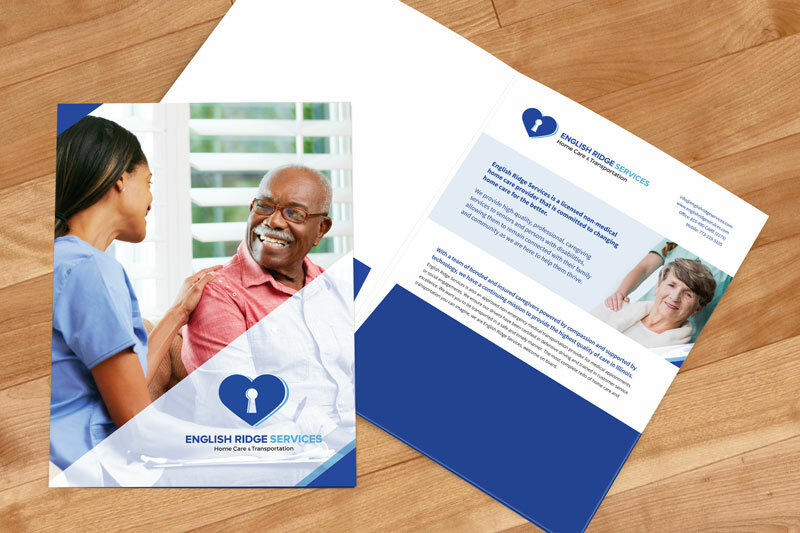 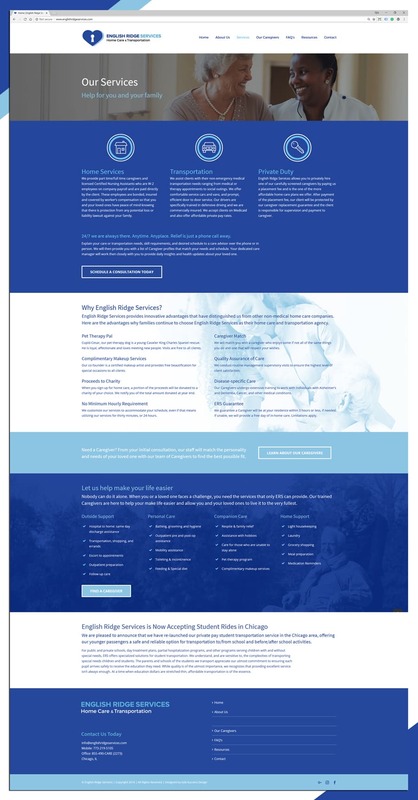 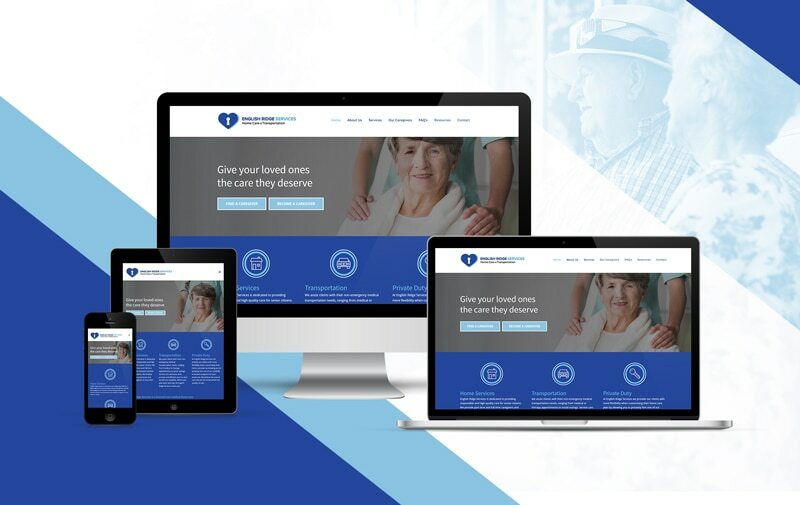 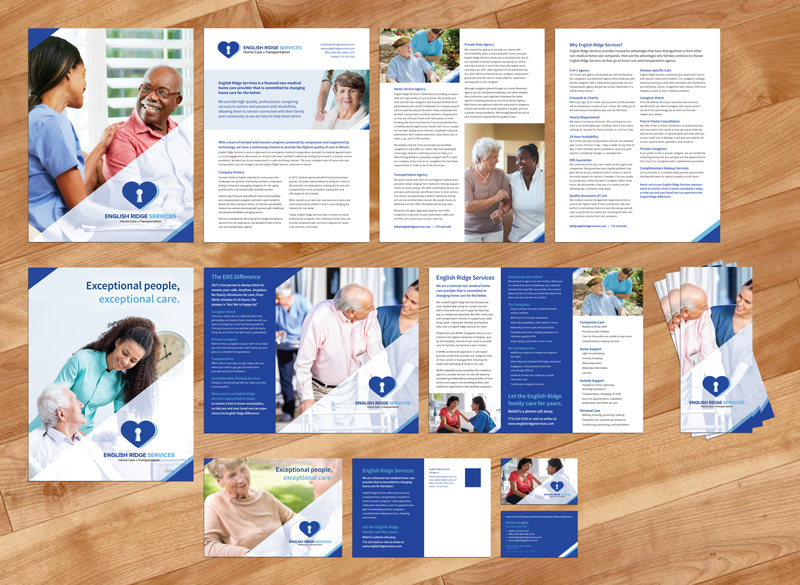 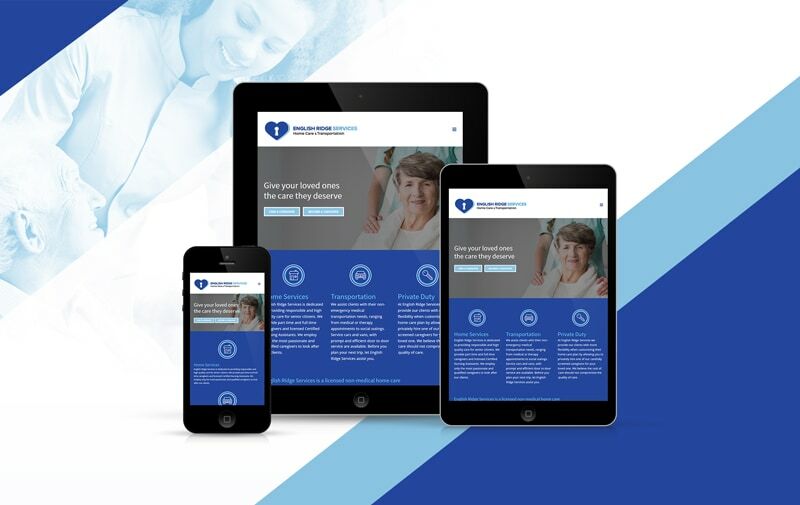 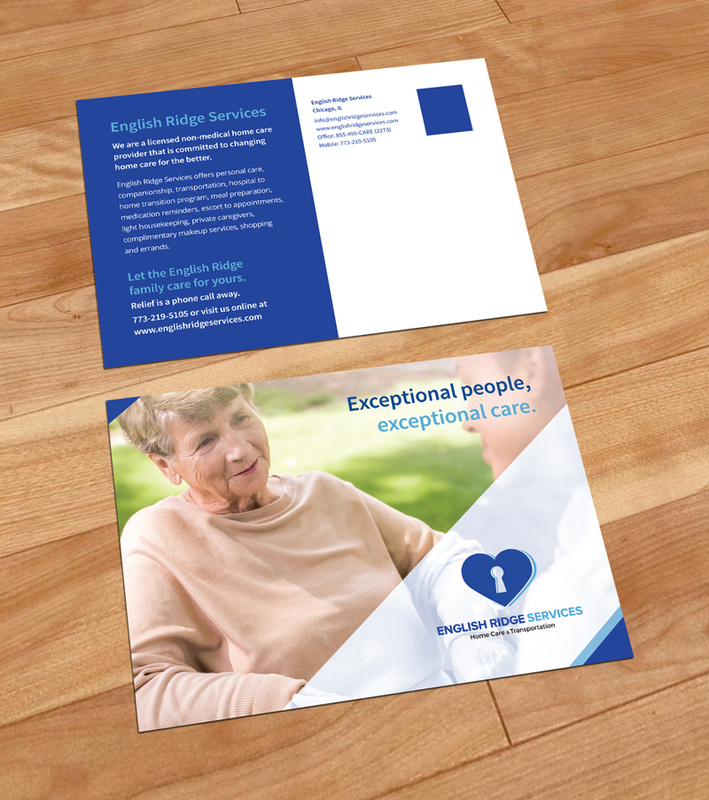 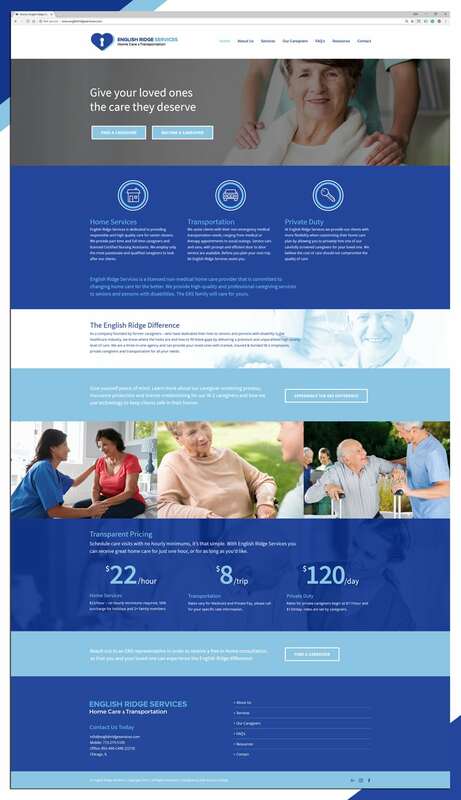 The senior home care provider needed a brand identity which would revolve around their current logo and connect with families who are in need of caregiving services. 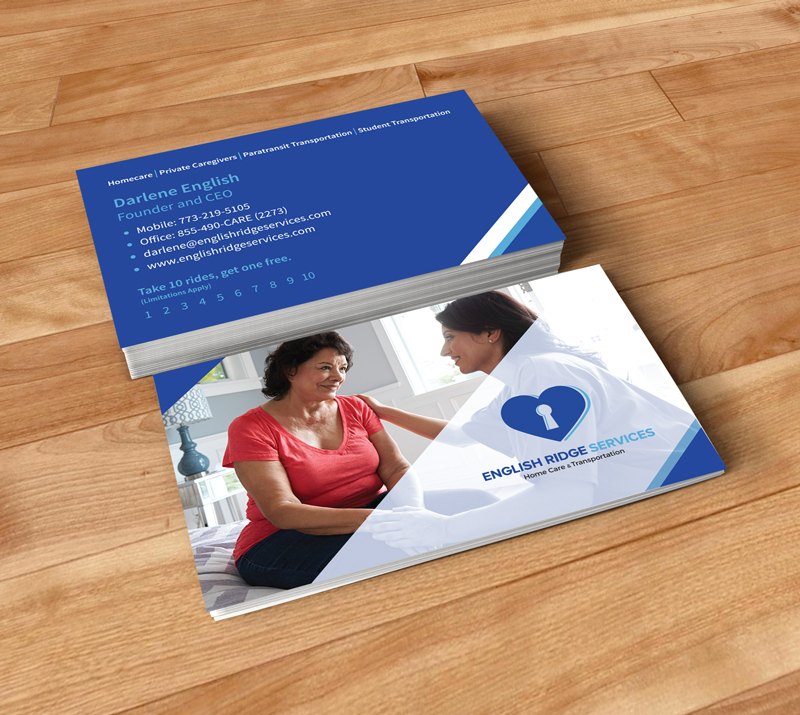 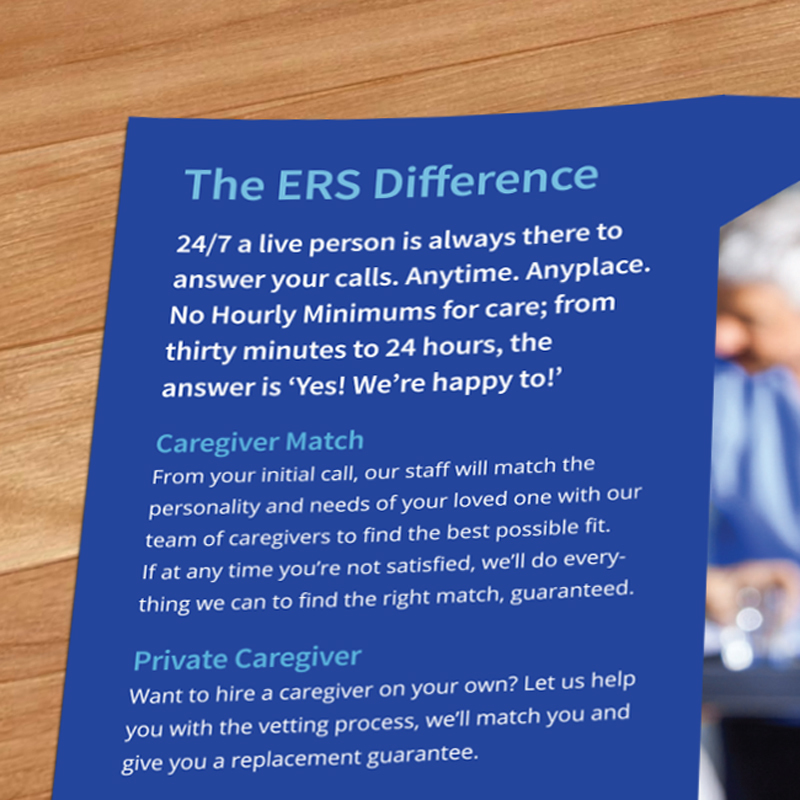 A trustworthy and dependable brand identity was developed through the use of empathetic caregiving photos, shades of a relaxing and reliable blue, easy to read typography, and an elevated graphical element which compliments the logo and conveys an improvement in the lives of the seniors that this business helps.